Exhibition design for the Swiss Federal Design Awards, presented at the mudac in Lausanne. The exhibited projects are presented through a series of wooden frames leaning on the museum walls. The shapes and sizes of these structures vary depending on the presented medium (graphic design, phoography, fashion, product design, jewelry). 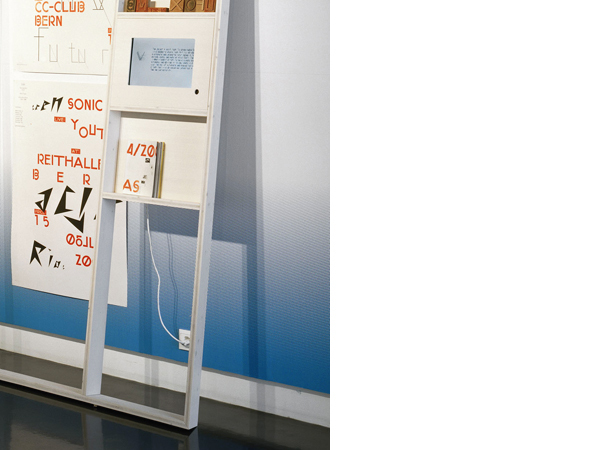 In the entrance of the exhibition, a specific “information” frame holds all the needed documentation.